Construction is a great industry to get into and you could make a lot of money by starting your own company. But a lot of new construction businesses never get that far and they end up failing in the first few months. That’s because there are a lot of very high overheads that you have to pay when you’re setting up and running a construction company. If you don’t manage your finances carefully, you’ll end up running out of cash. If you’re starting your own construction company, it’s important that you follow these financial rules. When you’re pricing up a job and offering a quote to a customer, it’s important that you’re accurate. The customer is going to pay the price that you’ve given them and nothing more. If you make mistakes when you’re calculating the cost of materials or the time that the job is likely to take, all of those extra costs will have to come out of your profits. If you’re not careful, you’ll end up doing jobs and not really making any money from them or even losing money in some cases. That’s when you’re going to start running into some serious problems with cash flow. Always remember to be thorough with your costs and make sure that you’re not missing anything. There is also some great software available that you can use to estimate costs more accurately. You don’t need to give people a price there and then either, gather all of the information you need, take it away, and take the time to come up with an accurate quote. The equipment and machinery that you’ll need for larger jobs are one of the biggest overheads that you’ll have to deal with. New companies often make the mistake of buying equipment outright, and that eats up all of their available cash. It’s important that you have enough cash to pay for any materials that you’re going to need to complete your first jobs, so you can’t tie up all of your money in machinery. That’s why it’s best to use plant machinery finance to pay for it instead. You can pay a portion of the cost upfront and then make monthly payments towards it. That means that you can start using it and earning some money from it before you have to pay it off fully, which makes it a lot more manageable. When your company starts to expand and you’re working on a few different jobs at once, it’s important that you keep the finances separate. Each different job will have its own budget and it’s important that you stick to it. If you just have one bank account with the money from all of your different jobs, you’re going to lose track of what your budget is for each one and that’s when you’ll start overspending. It’s best to open some new current accounts and have one separate one for each job. It’s so easy to run into cash flow issues when you’re running a construction business but if you follow these financial rules, you should be able to avoid it. 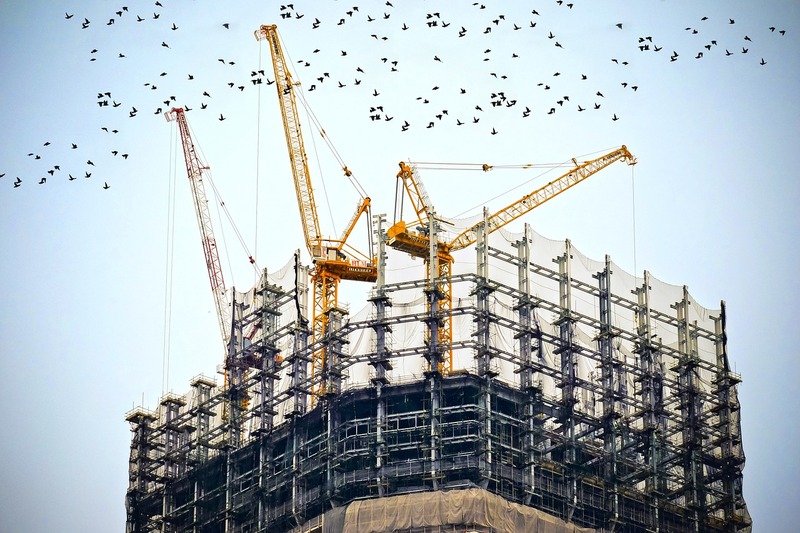 Have you started your own construction business? What hurdles did you face?